Spring Cleaning is one of those tasks that can quickly become overwhelming and is easy to put off, but clutter can make everyday life more stressful than necessary. Here are a few tips to help with the decluttering process. The quickest way to get overwhelmed is to bite off more than you can chew. Start your reorganizing journey with something small, like a junk drawer or a hall closet. This allows you to get started on the organizing and spring cleaning process without quickly feeling defeated. After the junk drawer and hall closet, you can graduate to a pantry or your wardrobe. Once you have chosen your target, you need to get your sorting receptacles ready. A container for each: "Keep", "Donate", "Trash/Recycle", and "Sell" should be made. These are temporary containers but will help you keep a visual on where each item is going. Do You Reallllllly Need It? -Marie Kondo: Does it spark joy? -Expiration date: Is it 3 years old? Is it even valid? -Usage: When is the last time you used this item? -Value: Is this item worth your valuable space? Once you have emptied your drawer/closet/cabinet and have parsed things down appropriately, you can now look at all the items you plan on keeping and start grouping them together. Pens with other pens, High heels with other high heels, canned goods with other canned goods. You can get more detailed than this, grouping things by color or by type (canned vegetables vs canned soups) if you feel so inclined. Don't overwhelm yourself and think about your lifestyle. Lastly, take the time to wipe down your newly cleared space, dust it and clean it. Then, look at your groupings and take the time to go and buy the proper containers to contain them. This is a crucial step that you won’t want to skip! Finding the right containers will help keep you organized throughout the year (and it is arguably the most fun). We recommend going to, The Container Store, Ikea, Target, Bed Bath and Beyond, or Michaels. Congratulations! You've done it! You have successfully conquered spring cleaning! Celebrate with a drink on the patio or a nap in the hammock! Enjoy your new found tidiness! 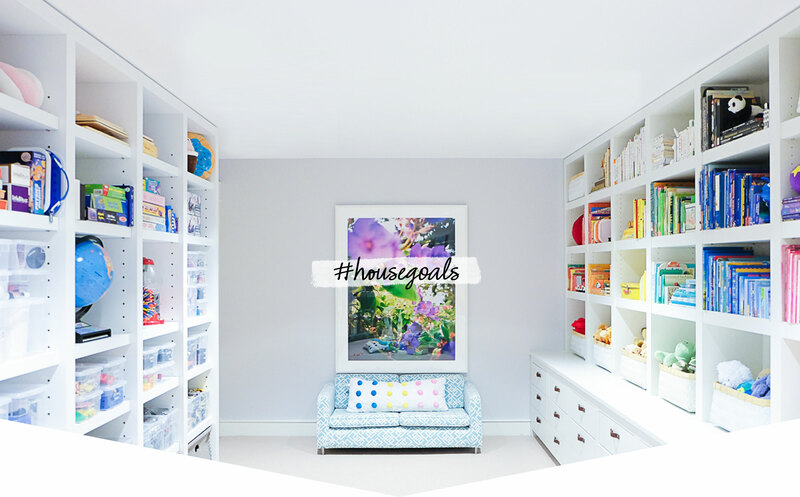 This blog was inspired by the blog, book, and business "The Home Edit" by Clea Shearer and Joanna Teplin. Photos in this blog are from their site.